Attract Love with the Power of Sacred Sound. What if you could harness the energies of the universe to bring love into your life and nourish it for a lifetime? According to the sages of India, you can - through the ancient art and science of sacred sound and chant. 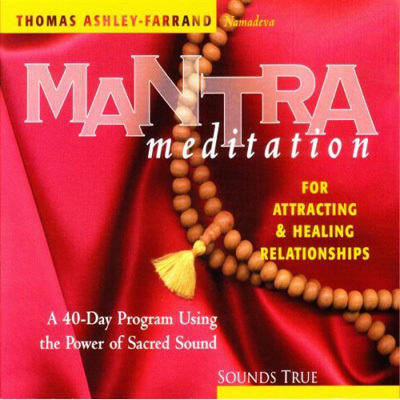 Mantras, teaches Thomas Ashley-Farrand, are specific sound intonations that directly affect our inner states and the people around us. On Mantra Meditation for Attracting & Healing Relationships, you will join this respected master of the tradition to learn a complete series of specific mantras to attract a spiritually fulfilling (and desirable!) partner into your life ... heal the relationships you now have with others ... cultivate love and mitigate fear, anger, and jealousy within yourself, and much more. These simple yet powerful mantras take only a few minutes a day to use. Experience profound changes in yourself and those around you after using them for only 40 days. Complete with printed reference guide.